Sequoia has been practicing massage therapy in the Hudson Valley since 1998. Having experience in many modalities, she offers a deeply effective treatment tailored to the individual in a relaxing setting in the village of Rhinebeck. 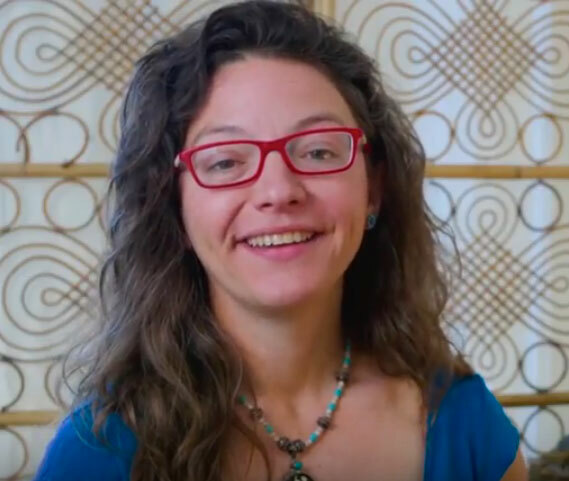 A New York native, she studied bodywork at Heartwood Institute in Northern California, completing the unique and intense 1000 hour residential program, in which students are immersed in a holistic learning community, emphasizing the body-mind-spirit connection. Continuing education includes Arvigo abdominal massage self care, Craniosacral energy work with Amini Peller, Fascial work with Tom Myers, Shoulder care with Ben Benjamin, and TMJ therapy. Throughout her time as a bodyworker, Sequoia has worked with Naturopath Tom Francescott, Chiropractors Nori Connell and Barbara Blisko, Acupunturists Gila Paolella and Minya DeJohnette and in wellness centers at Omega Institute and Haven Spa. She was given the fantastic opportunity to work with The Joyful Heart Foundation, founded by Mariska Hargitay, whose mission is to heal, educate and empower survivors of sexual assault, domestic violence and child abuse, and to shed light into the darkness that surrounds these issues. Sequoia worked with groups of women on their healing journeys on retreats in Bimini, Bahamas, processing emotionally through group sharing, art therapy, massage therapy, and swimming with wild dolphins. A student of Iyengar and Kundalini yoga, Sequoia incorporates concepts of yoga in her work and in recommendations for clients’ self-care. Thank you SO very, very much!!! I was in pain in my back, shoulders, and hip for three whole months…and after every visit I felt so much better. Thanks again for the helpful recommendations and home exercise plan. You are truly a healer. "Sequoia is by far the best massage therapist I know. As a sufferer of back pain and with all the driving I do for work, regular massage is very important to me and the skill of the therapist is paramount." Perfectly individualized combination of techniques and focus that helped my body return to better alignment. Sequoia is sweet and offers a lovely and relaxing space to heal. Just be sure you know to go behind the house to the studio! There are certain people who transform not only your body but the atmosphere, Sequoia is one of those people. Thank you for your strong healing touch! Been working with Sequoia for 12 years and she is the best - very knowledgeable, great hands, she intuitively knows what my body needs No two massages are ever the same. Wonderful positive energy: spirited conversation or blissful silence. She loves her clients. And a great well lit space right in town. Highest recommendation!